A poster that is meant to be listened to, not read. 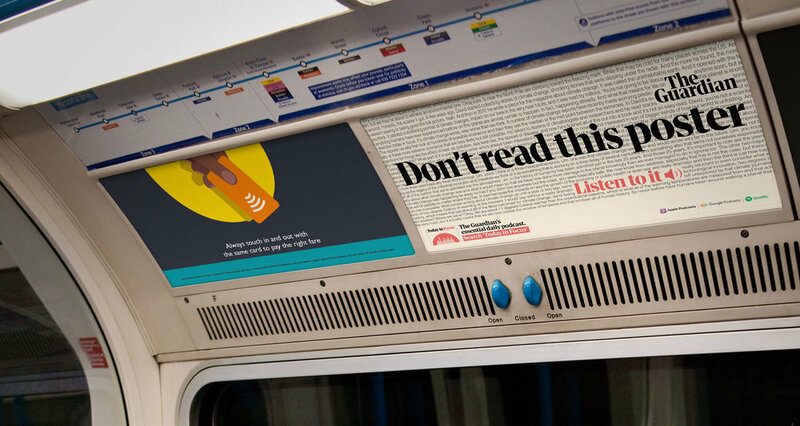 The poster features audio transcripts from two recent podcast episodes on climate change and Brexit, with large font overlapping the text to direct attention to a call to action: "Don’t read this poster. Listen to it". The design plays on the setting of a Tube carriage and the benefits of listening on the move.